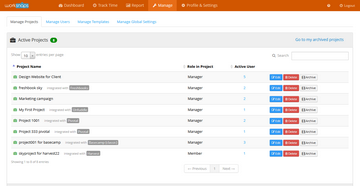 Tracking time and verifying work are the core features of the service. The time logged consists of a sequence of "work snaps". 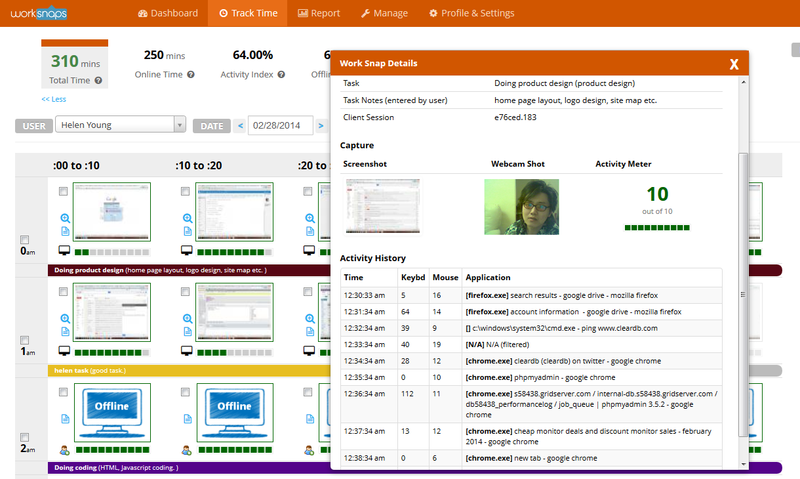 Each work snap represents 10 minutes of work which can be verified by a screenshot, mouse and keyboard volume and most active applications used during each interval. 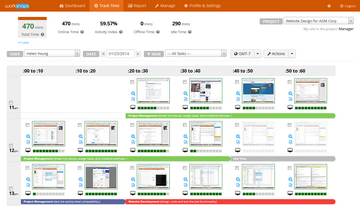 You best understand the most convenient way to organize your project data for yourself and your team. 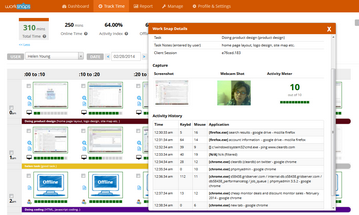 With Worksnaps, you can easily manage your team by putting users into different projects. 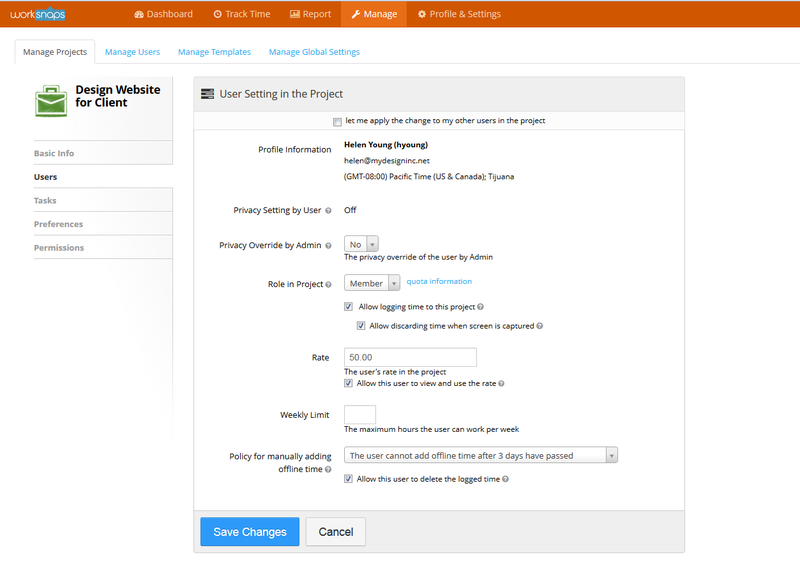 Each user can only access the projects they are assigned to,, while as a project manager you can view and control everything. 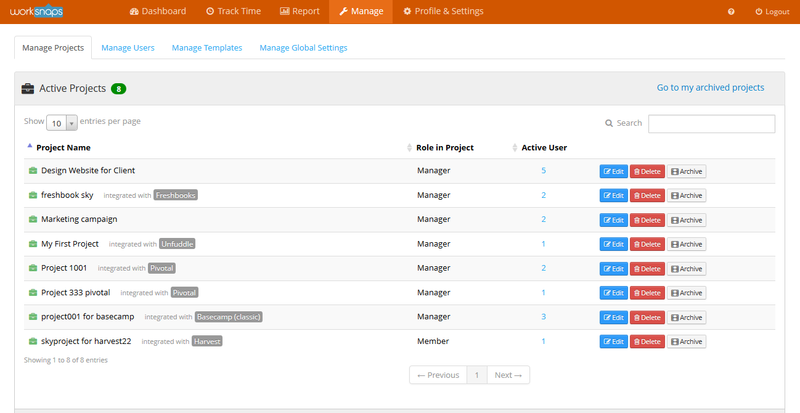 Each user can be assigned a role that defines what operations the user can perform within each project. 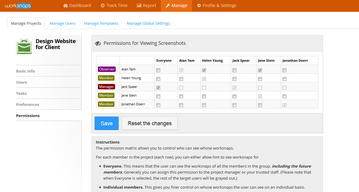 In addition, specific permissions can be set up to control who can see whose screen shots. 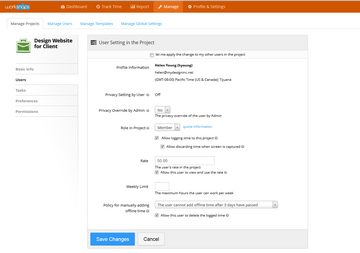 Each user's settings can be tailored to control how Worksnaps behaves when tracking time so that it can best suite the user's work style and your organizational policy. 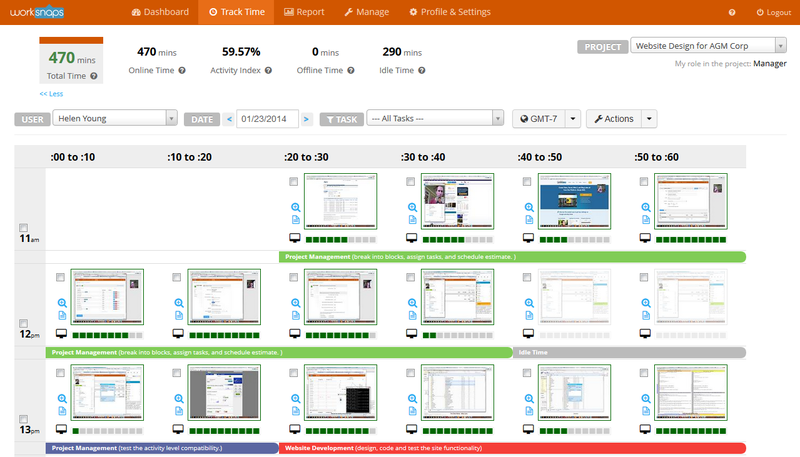 This gives you the ultimate capability to improve tracking effectiveness and maximize productivity.